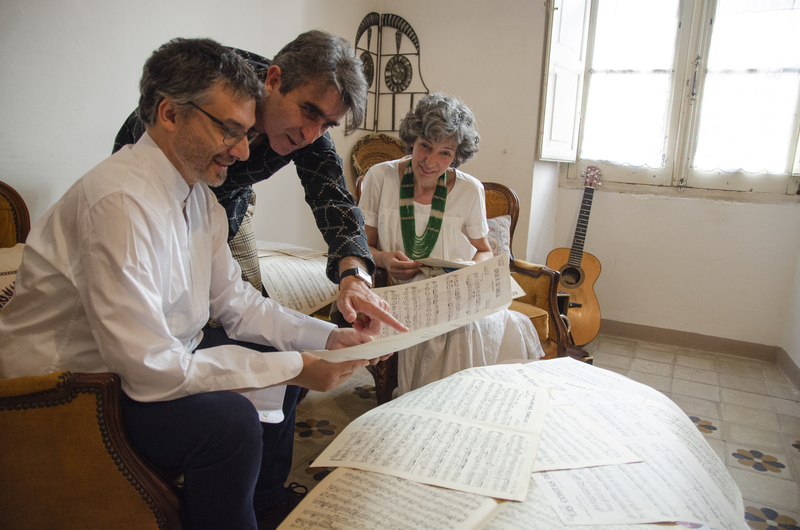 Elva Lutza (Nico Casu and Gianluca Dessì) are back, this time appearing with of one of the great interpreters of Catalan music: the singer and actress Ester Formosa. Their previous two albums were acclaimed by critics and audience; their music is an unusual mix of tradition, jazz improvisation and art song. With Ester they are just out with a record called "Cancionero": songs in Catalan, Sardinian, and Sephardic. The sound, with its odd rhythms, its trumpets of folkloric derivation and versatile guitars, is typically Elva Lutza.